There’s a new sher-, I mean JYDGE, in town and the bad guys had better start making their funerary plans because he’s not too keen on redemption. 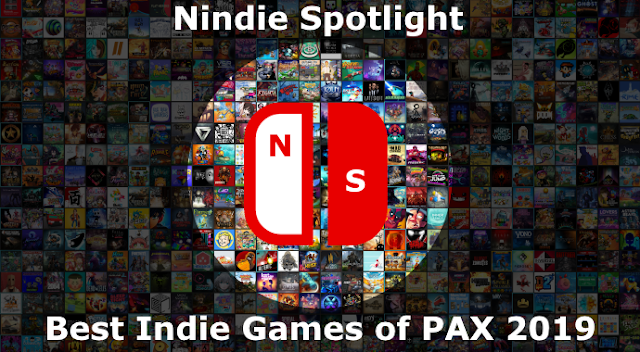 The folks at 10 Tons have sprung yet another excellent twin-stick shooter on the Switch and you should be pumped folks. While, at a glance, it may feel like you’re seeing something very similar to last week’s Neon Chrome (and you’d be right, they share the same base engine and many assets) as a shooter aficionado I’m very happy to report that JYDGE has a style, and more importantly pace, all its own. 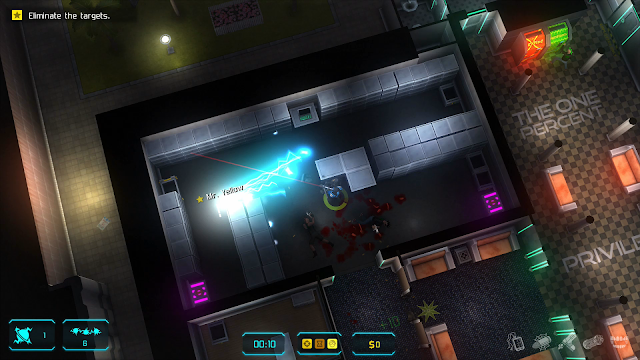 Where Neon Chrome was a long-form roguelike shooter where you would try to make your way to see and overthrow the maniacal Overseer, using whatever skills and weaponry the game would throw at you, JYDGE works in pretty well the opposite direction. 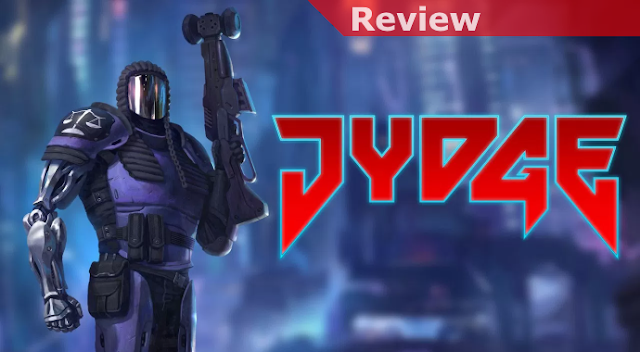 In some ways playing out more like a strategy or puzzle game at times JYDGE is all about being given very specific missions with varying objectives and then figuring out what skills and weapons in your arsenal will best help you complete them. While most are of the brutal “kill anything that moves” variety at the end of the day that isn’t to say you won’t need to approach them with a certain sense of flair and creativity sometimes to be successful. Once you have your load out ready you’ll then have the challenge of executing and many times this will require some thought, tactics, and even an ability to improvise if you want to save the day. Missions and objectives will vary quite a bit and, to be clear, in many cases they may be mutually-exclusive and that’s fine… you can complete the objectives one by one if you’d like and there’s no bonus for knocking them out all at once (though that would be pretty badass). This allows you to cater what you’re bringing to the party to what will maximize your chances of success. Hostage situation? You’ll want to consider either boosting their health, making your shots unable to harm them, or even both. Need to take zero damage? That could make for some creative choices including speed, making yourself a bit smaller, bullet dodge... there will be a lot of options in that direction. Of course since there are stealth missions you could also plan to go with enhancements in that vein, making yourself invisible in shadows, using a sniper rifle while in tactical view, and other variations. The further you get in the game the more enhancements, abilities, and weapons you’ll have to play with and ultimately it gets to be a bit like a toy box of mayhem for you to ponder over for each mission. 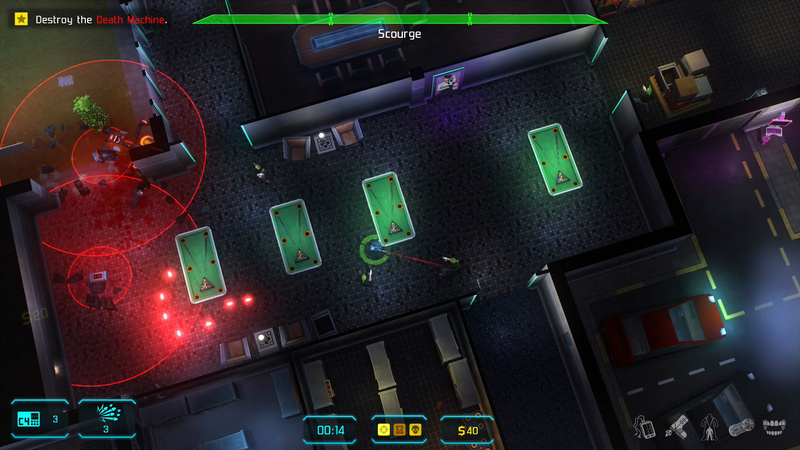 The thing is, you will absolutely need all of those toys to make progress because unlike just about any game in the shooter genre you won’t be able to get too comfortable in a single style of play… to move forward in JYDGE you’ll be forced to adopt those different styles, at least well enough to be successful, and to clear some missions. To unlock new levels you’ll need to revisit and complete most, or in many cases all, of the objectives in the missions you’ve gone through and on top of that you’ll need to play them at more difficult skill levels as well. This will rearrange some details and toughen up the enemies at each pass and while this can be repetitive to some degree it will also enable you to do a much more effective job of planning your route when timing is of the essence. Always keep in mind the very destructible environment when you’re planning as well, nothing helps kill a tough enemy like ambushing them through a wall! As always there are some quibbles to be had with the game, though none are terribly crippling. Of particular note is that missions requiring that you not be seen can be tricky and frustrating as what distance and angle guards will see you at can be very ambiguous. Overall, sometimes it will work in your favor and other times not. Best recommendation would be to stick to long-range weapons or things like energy weapons that you can hit people with around corners if you need to be creative. One of the best features to use in these cases, the tactical mode enhancement, also takes the relatively small details of things when in handheld and makes them a bit smaller. Everything is still playable, but it’s worth keeping in mind if you primarily to play it on the go. As mentioned before there can be a bit of a grind to replaying the same levels at times, even if the layouts and objectives do vary between skill levels, but at least it isn’t simply repeating the same exact things but harder I suppose. Finally, I would imagine that one downside of all of the options the game ends up presenting you for success could potentially overwhelm some people. Once you add up your various personal enhancements, weapon and grenade choices, and further weapon enhancements it gets to be a lot to look at and dig through. While I think that’s the cornerstone of what helps JYDGE distinguish itself I can also understand if people are a bit taken aback by it all.